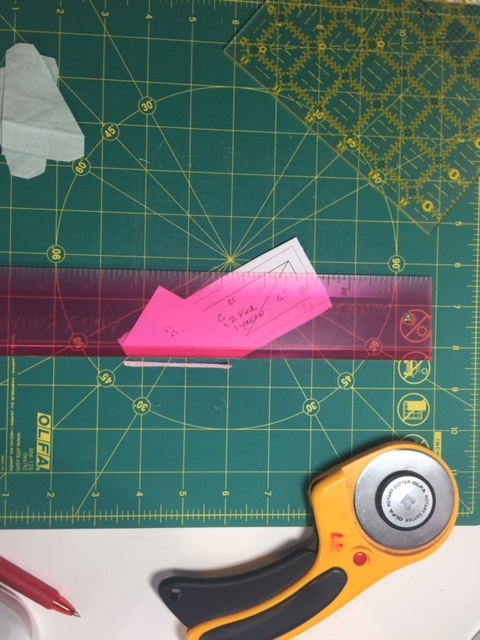 Hold it up to the light to make sure the fabric is covering the entire C1 area with an extra ¼” all the way around. 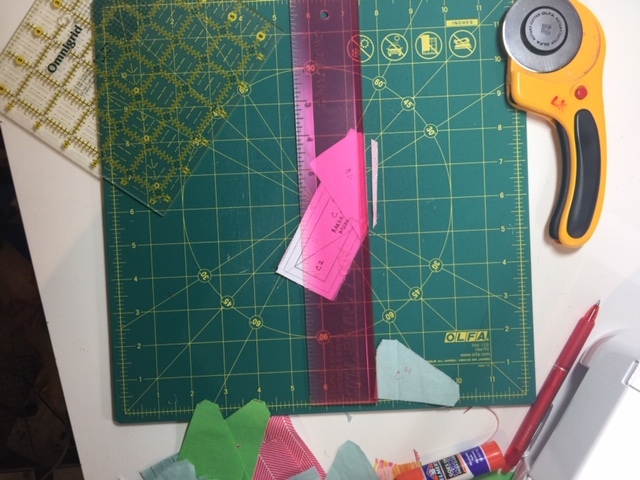 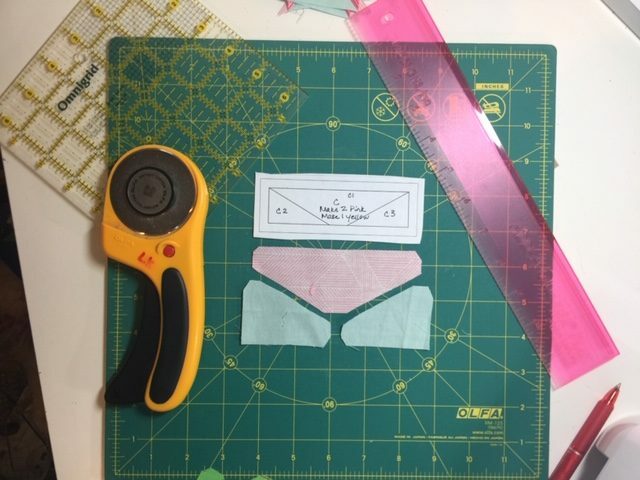 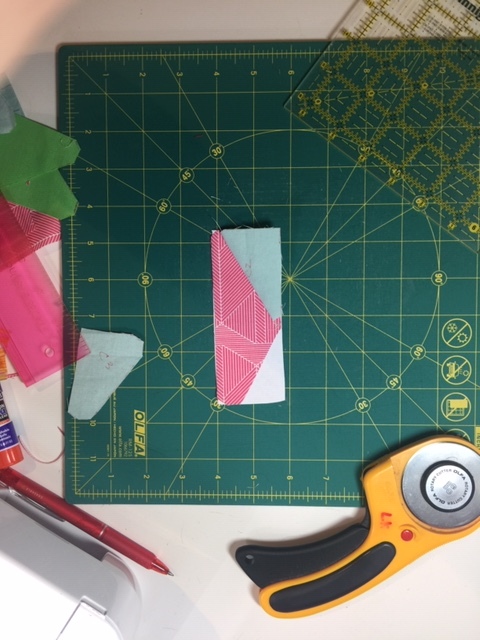 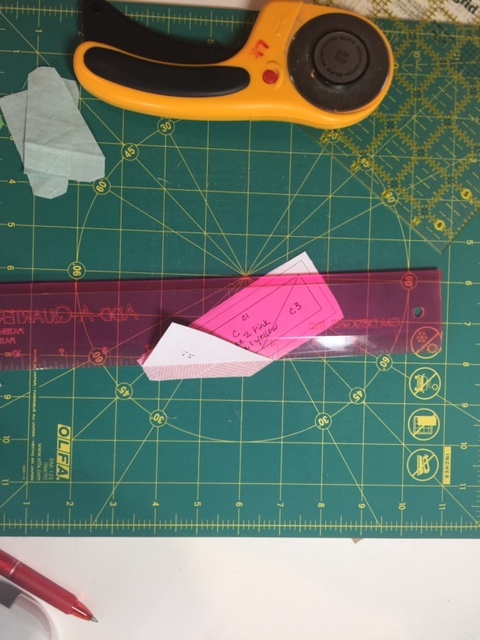 With the paper still folded over, place Add-A-Quarter ruler to the right of folded edge of paper and trim the fabric edge ¼” from paper edge. 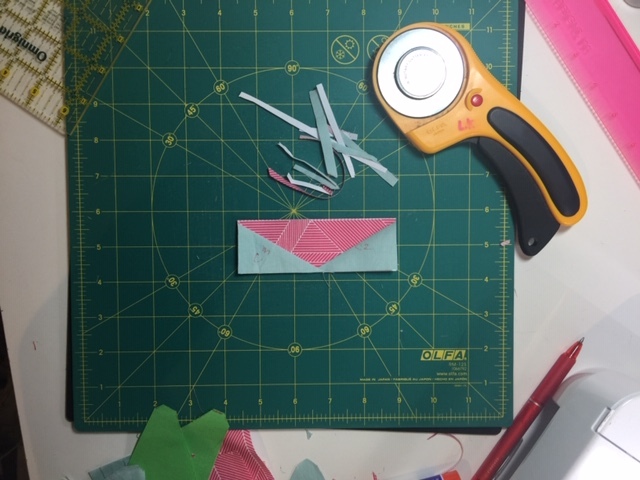 Flip over and align edge of C2 to cut edge of C1, right sides together. 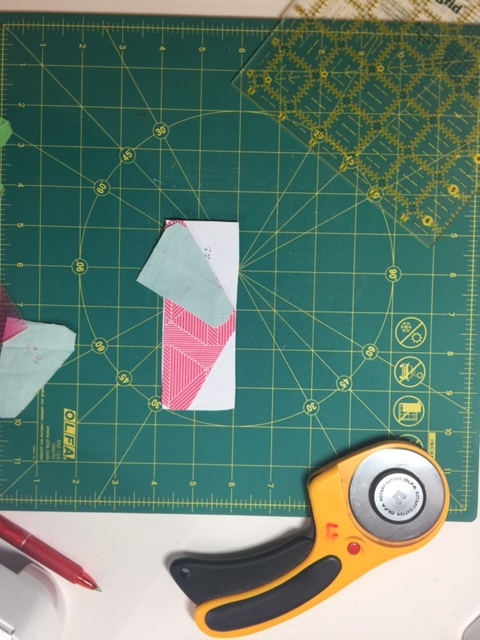 Holding fabric in place, flip over and stitch on line between C1 & C2, starting and stopping ¼” or more from beginning and ending of line. 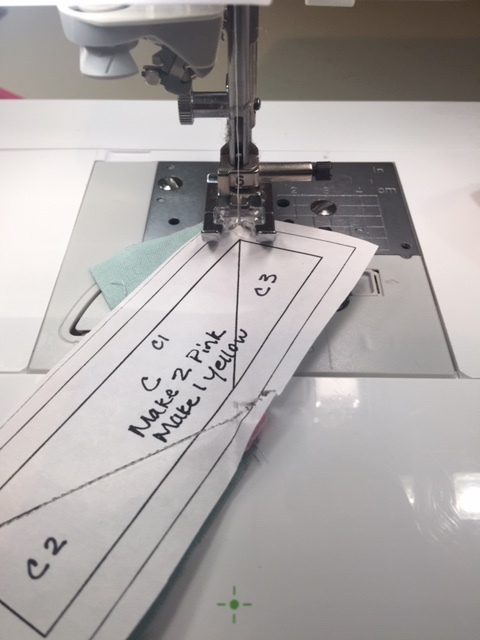 Use a 1.8-2.0 stitch length. 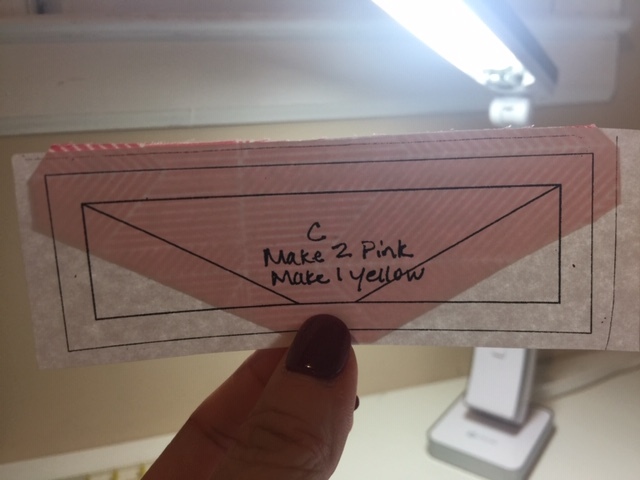 Fold C2 up and press open. 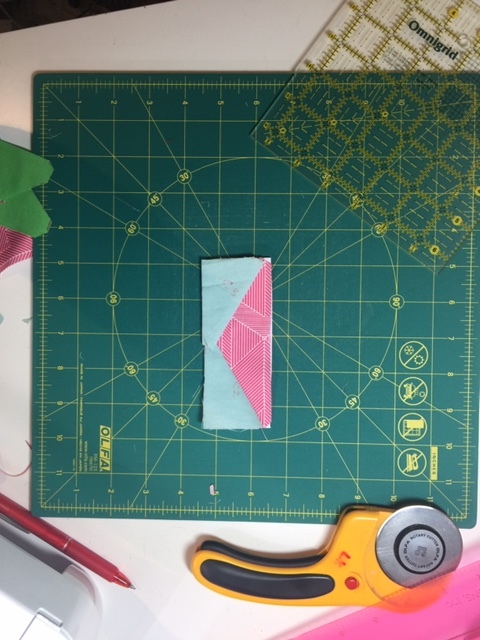 Flip over and align edge of C3 to cut edge of C1, right sides together. 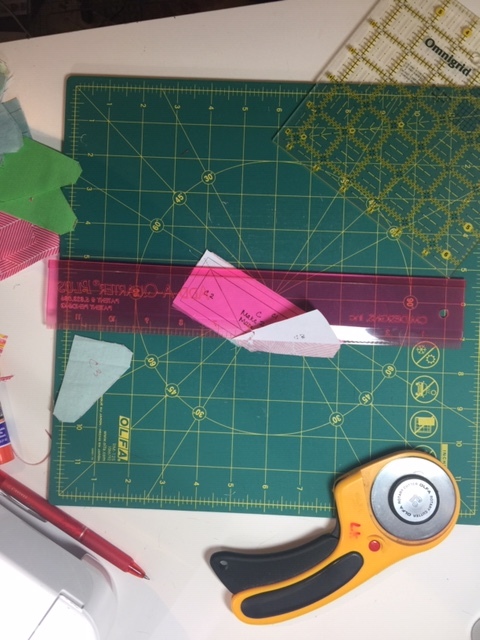 Holding fabric in place, flip over and stitch on line between C1 & C3, starting and stopping ¼” or more from beginning and ending of line. 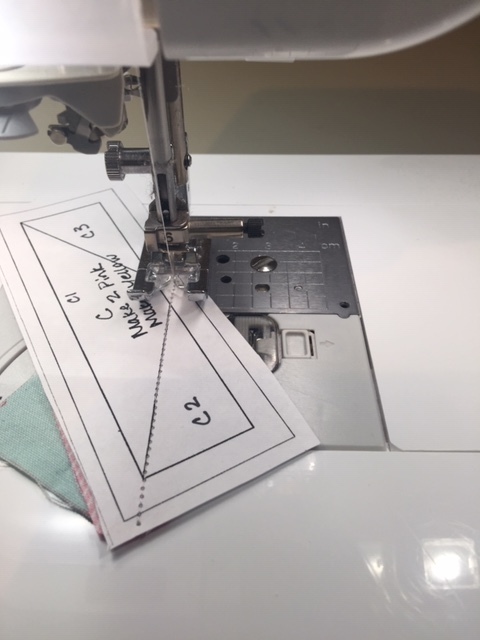 Fold C3 up and press open. 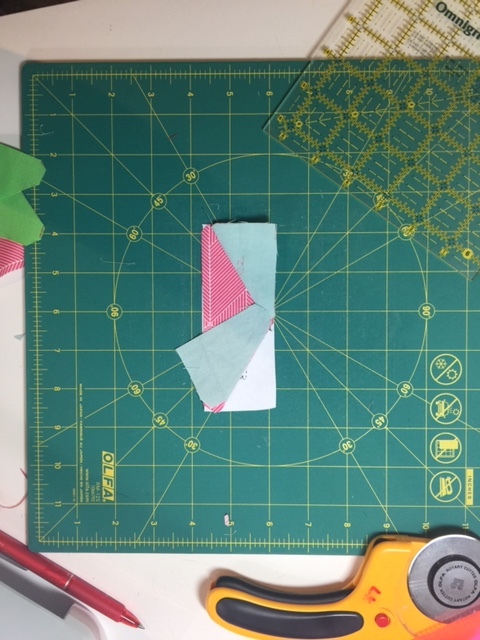 Turn over to paper side and trim all 4 sides on outside lines. 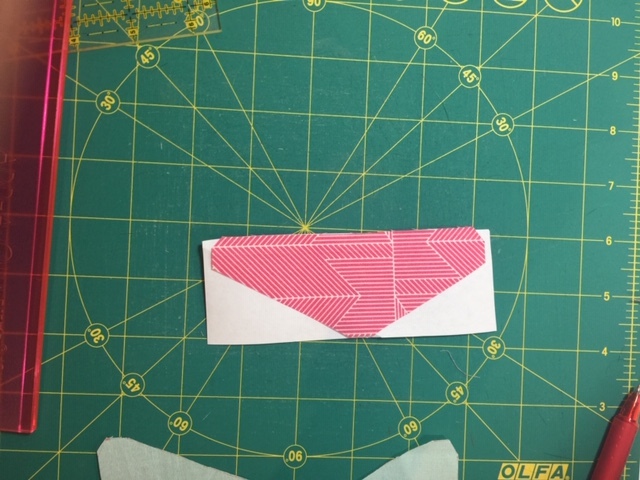 This is what it looks like on the fabric side. 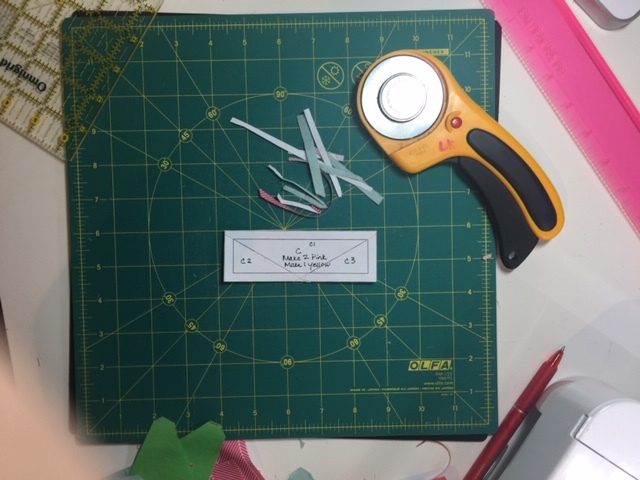 Remove paper gently.